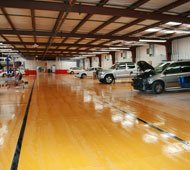 Universal Auto Body Services goal is to be a world-class leader in the collision and refinishing industry. We are a state-of-the-art environmentally focused facility that provides highly developed training and sophisticated equipment. We are commited to keeping our air, water, and land clean by supporting all environmental protection acts, including the St. Johns Water Management Act, the Environmental Protection Agency, and OSHA. What makes Universal Auto Body so unique? Universal Auto Body Services believes that our obligation does not end with providing excellent employment opportunities and tax revenue to the area. We believe in supporting and interacting with our community and as such, we are actively involved in several community organizations including Partners for Excellence in Education and Chamber of Commerce. We also participate in many other community activities. 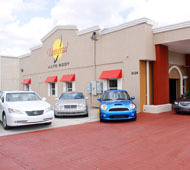 Universal Auto Body Services maintains an open door policy and we invite our residents and community leaders to tour our prestigious locations. We are a full service repair and mechanical shop providing the latest, with the most up to date technology, training, and services that are available in an ever-changing industry. 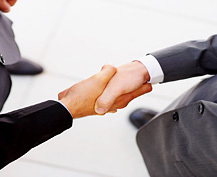 Our employees are certified in I-Car, ASE and other technical certifications. In addition there are also offices for insurance staff to utilize as a drive-in and accommodations for meetings and training. 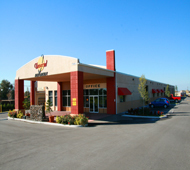 We also provide free storage for your vehicle for up to 30 days. Universal Auto Body Services will provide courtesy repair estimates and we honor all insurance company estimates and we work very well with all the surrounding insurance agents/agencies. Our goal is to exceed your expectations and our company proudly embraces this industry by offering superior service along with friendly and knowledgeable employees. Please contribute to our success by considering us for your auto collision and refurbishing needs.